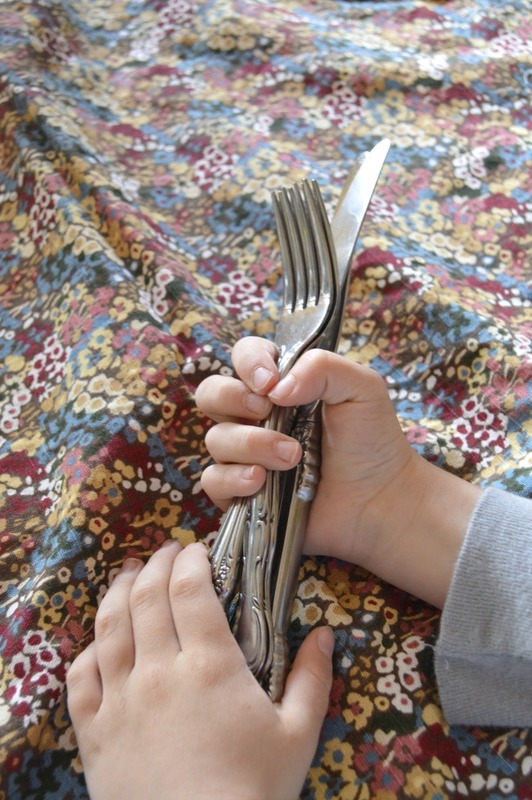 Isaac was super excited to get all the knives and forks out because, "knives are soooo cool!" 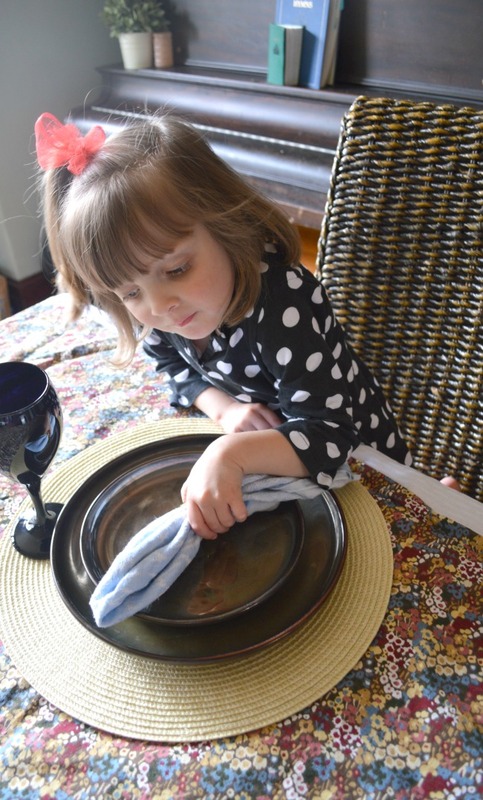 Snapped this just before Emi said, "I am being such a good helper!" 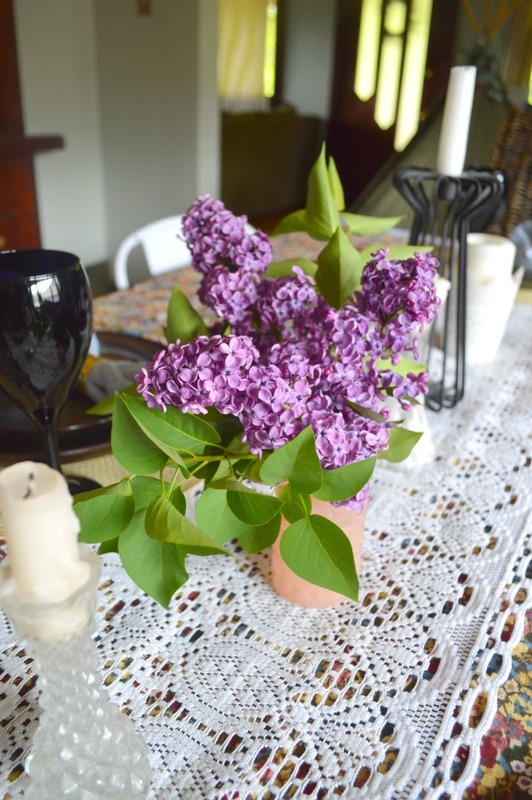 Lilacs from our garden. By far, one of my favorite flowers! 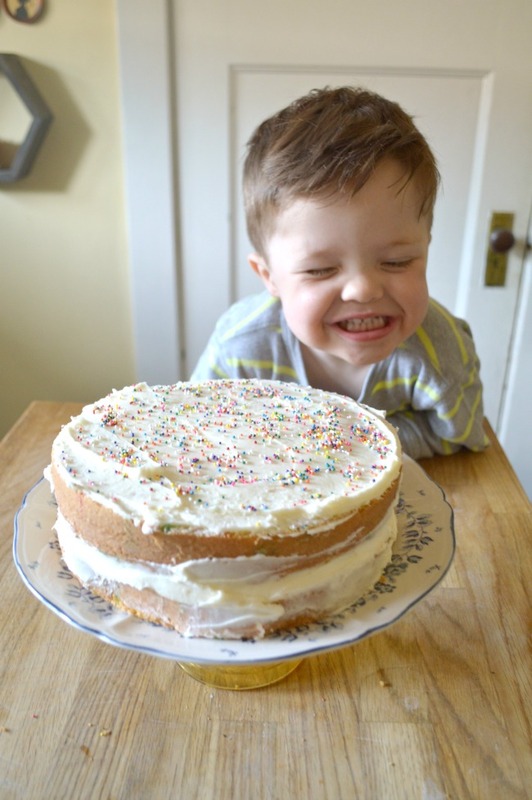 Zachary's current "cheese face" is so priceless! It's hard to believe that Dave and I have been married for nine years. NINE YEARS! It still seems like yesterday when we first met dove head first into a 6 month dating/engagement phase that led straight to us getting married on April 28th 2007. Since then we have moved 4 times, had (almost) 4 kids, acquired 2 diplomas, and gone on countless adventures together. Each anniversary, Dave and I like to celebrate by going on a mini weekend get-a-way somewhere here in Utah. But, with me being only 2.5 weeks away from my due date we decided to take things easy this year and send the kiddos to Grandma and Grandpa's today for a sleepover and then spend the rest of the day (and night) just being together. But, with our anniversary actually being yesterday, I still wanted to do something fun (and easy) to celebrate. 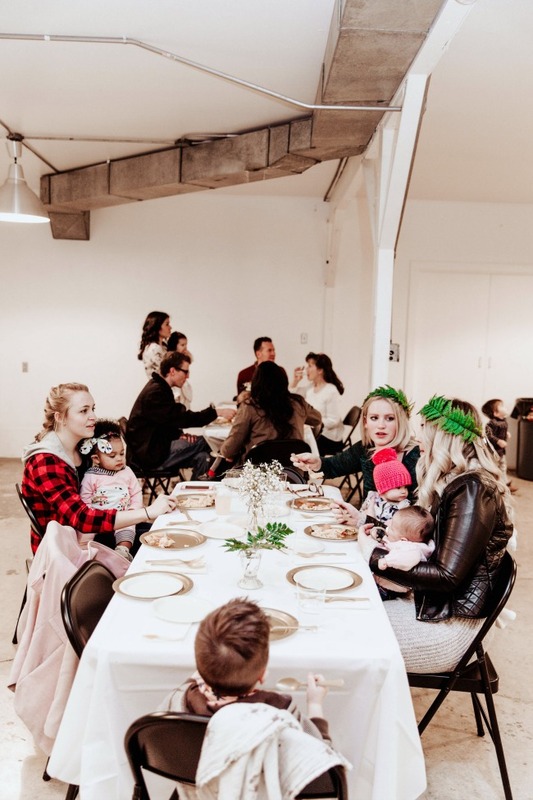 So I got my kiddos together and we decided it would be fun to put together a fancy dinner party. 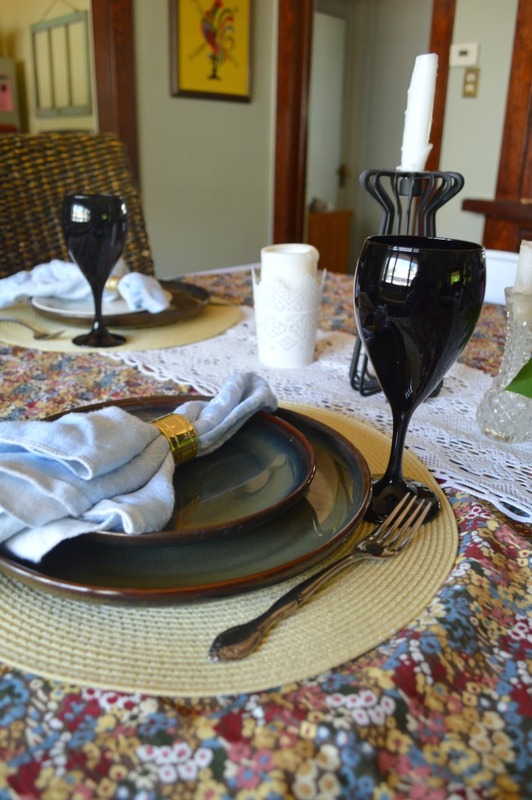 So we set the table with our nicest dishes, baked a cake, and asked Dave to pick up a pizza from one our favorite pizza joints. It was such a simple way to celebrate our anniversary, but was by far one of my favorites because Dave and I got to celebrate our anniversary with three of the greatest gifts that have come from us being married for nine years. And on that note, in honor of my nine year anniversary, I thought I would share with nine romantic anniversary for the frugal at heart. 2) Go on a fancy picnic to a local orchard, park, lake, etc. Unlike normal picnics that consist of sandwiches, carrot sticks, grapes, etc. Up your game on this one and fill your basket instead with a baguette, cheese and meat slices, fruits and veggies you don't usually take with you on a picnic, a fun drink, actual glass dinnerware, and a fun dessert. Then pick a fun outdoor location you don't normally go to and let the food and setting do the rest of the work for you. Dave and I have done this before, and it is so much fun! Especially when we stopped at a bakery that served desserts we didn't eat on a regular basis. This may not seem that romantic. But trust me, it is. Plus, you save a ton of money when opting to sleep in a tent under a sky full of stars than in a fancy hotel. Dave and I have done this a few times, and it is so much fun! We load up our car with some blankets, drive away from the city lights, and then layout on the hood of our car while we gaze up at the sky. And, since we are usually always in an isolated area, we always end up having a steamy make-out session like we always used to have back when we were dating; which makes the evening even better! There is so much pressure that comes with being an adult. So it is super fun when you and your loved one get to spend the day "being kids" and let go of all your adult responsibilities for a day. Here's to keeping things hot and steamy in our love lives! 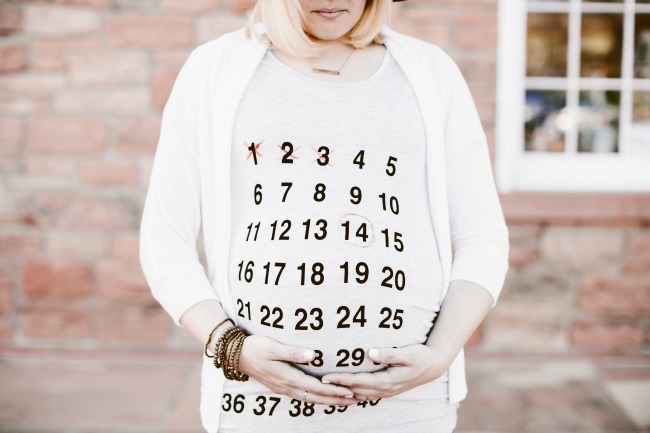 We are in the home stretch for baby number four's due date and I can hardly believe it! 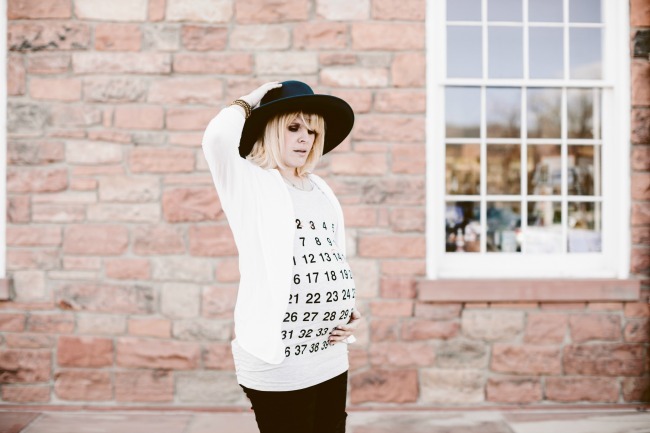 For my family, a pregnancy due date is just as exciting as any holiday we celebrate. So, you can bet that since the day I conceived this little nugget my kiddos have been asking me over and over again when the baby was going to be here. And with any kind of celebratory thing that happens in life, there is a lot of preparation that goes into the Big Day. But, it doesn't have to be hard or scary. Instead, it can actually be a lot of fun! 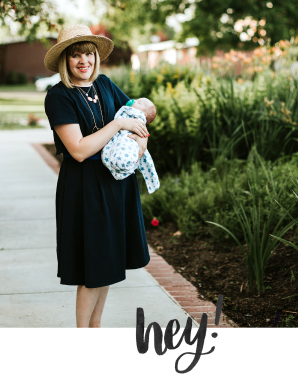 So, now that I have almost been through 4 pregnancies, I thought I would share some of my easy ways to prepare for a new baby. 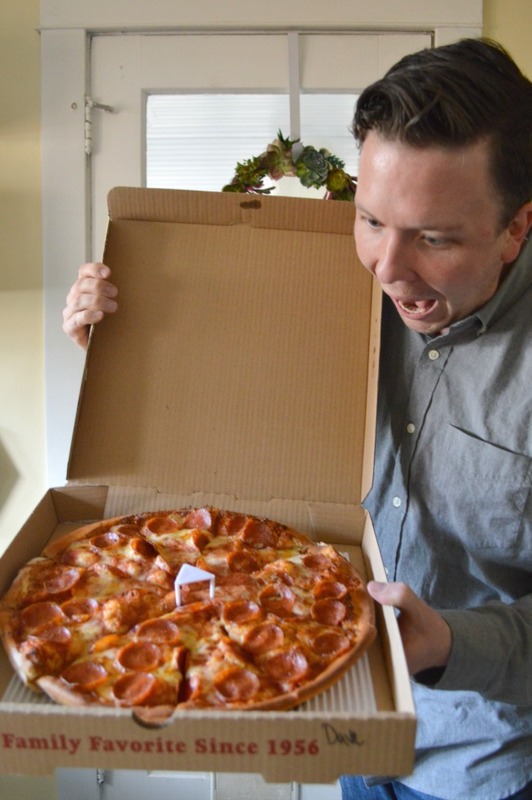 If you haven't done this already, this is something I normally during the start of my third trimester. Writing on it things I need/would like to get done before my baby comes. Once your precious little baby comes, the majority of your time during the first 6 weeks will be consumed with recovering and taking care of your baby. So, before I have each baby, I make sure to go and get my hair done, get a massage, or treat my self to a mani-pedi. When most people have babies, they can usually expect about a week's worth of meals from family, friends and neighbors. But after that, life gets back to normal and you are left to come up with the meals for your family. So, one thing you can do to make things easier on yourself is prepare of few freezer meals that you can pull out on those days when you just don't have time to make dinner. 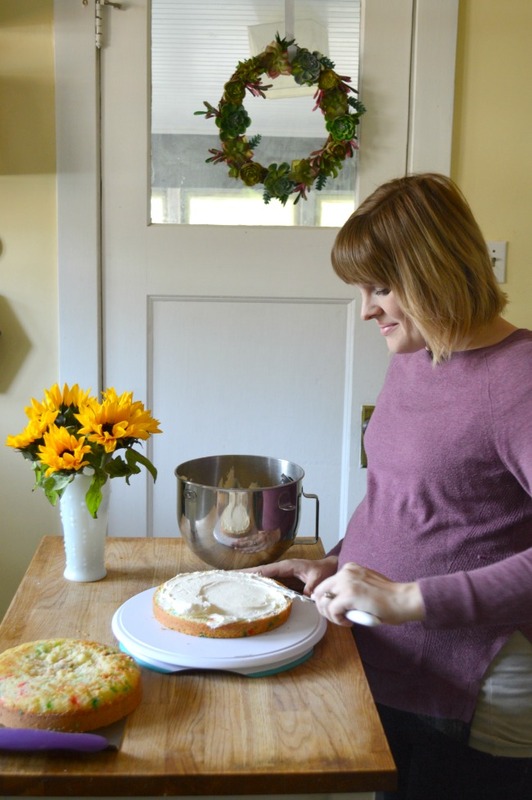 Each time I get pregnant, I always tell myself that this time I will plan a head and set aside some time to make at least a week's worth of freezer meals. But, that has yet to happen. So my family has gotten really good at living off of grilled cheese sandwiches, cereal, and take-out whenever a new baby comes into our family. Haha! I can't even begin to tell you how messy new babies are! Between the spit ups, poo blow outs and diapers overflowing with pee you go through more laundry than you ever thought possible for such a tiny human being. So, if possible, get every ounce of dirty laundry you have cleaned and put away so that you are ready for the onslaught of dirty clothes, burp cloths, etc. that will quickly fill your laundry room. 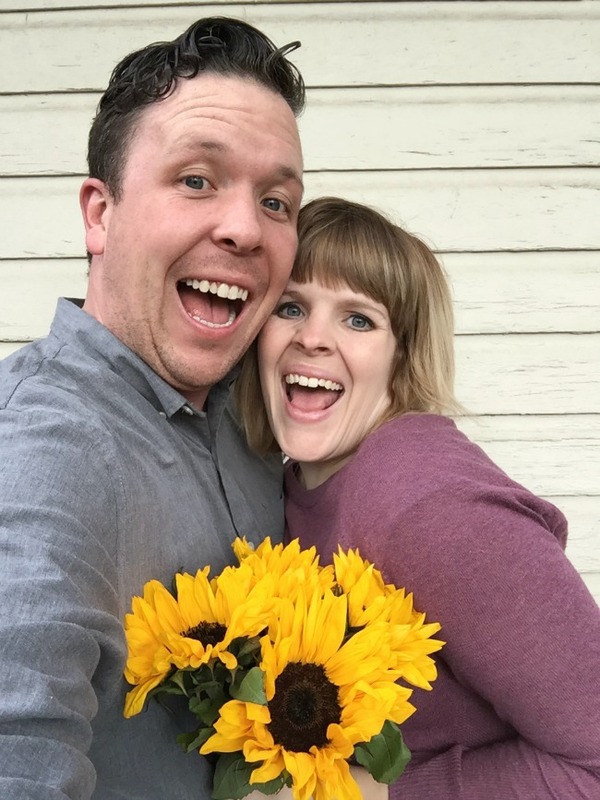 Like everything else, romance is a huge thing that goes on the back burner once a new baby comes. 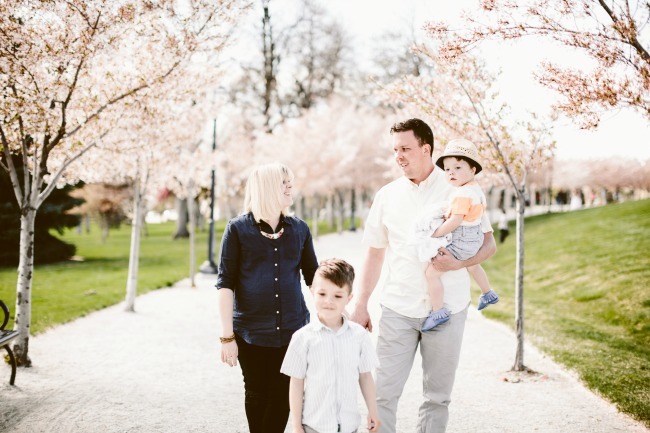 So, make sure you stock up on a few date nights and bedroom rendezvous because once your baby comes, this part of your life can take a huge leave of absence and you're going to need some current memories to help remind you and your partner going. 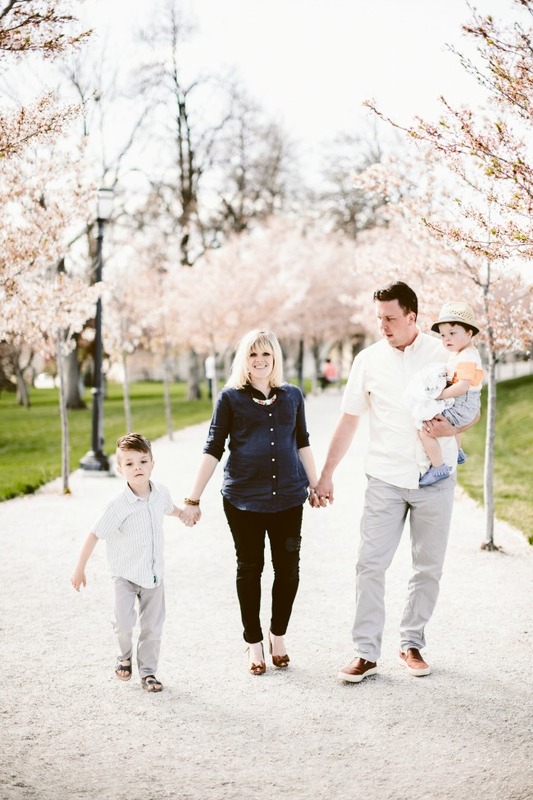 When it comes to preparing for a new baby, there are a lot of ways to do this. So do what works best for you and will help get you to a point where you can just enjoy snuggling and being with your new babe. I have officially become outnumbered by the boys that make up my family. For the longest time, I only thought about having and raising mostly daughters with an occasional boy added into the mix. Instead, I got the exact opposite and have loved every minute of it! Boys are so much fun! 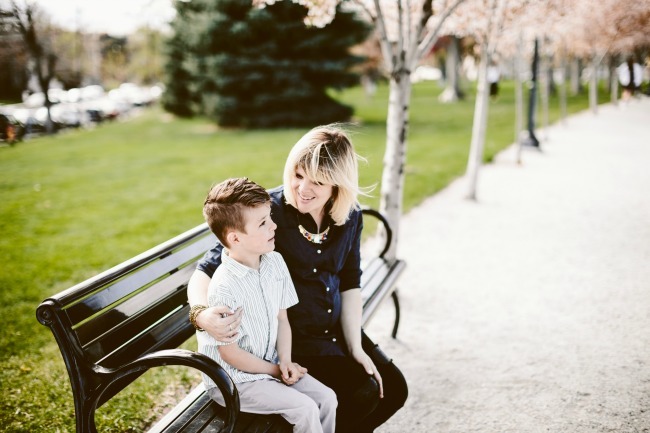 And there are so many things I've learned from raising boys that has molded me in to the kind of mother I've always wanted to become. Go figure! Most boys are "Big Picture" types of people. Instead of worrying about all the little details, they focus on the end result and the key steps that will get them there. Before having boys, I was constantly consumed with the smallest of details and would constantly drive myself, and others, absolutely crazy. Haha! Now, I've learned to balance this out by following my boys' example and look at things in a broader perspective and not get lost in all of the little things that sometimes don't really matter when it comes down to it. *Boys embrace the messy side of life. If there is a puddle, dirt pile or mud patch within a foot of my boys, I know, without a doubt, that I will find them instantly covered in it. And as much as I love for things to be clean, I have learned through my boys that there is a certain kind of fun you only get to experience when you let a little dirt into your life. So I've learned to let go, embrace the mess (with exceptions of course!) and let the good times roll. Just like boys like getting dirty. They also like using their hands. Their brains are just wired that way. For the longest time, if I wanted to learn about something I would either look it up online or have someone show me how to do it. 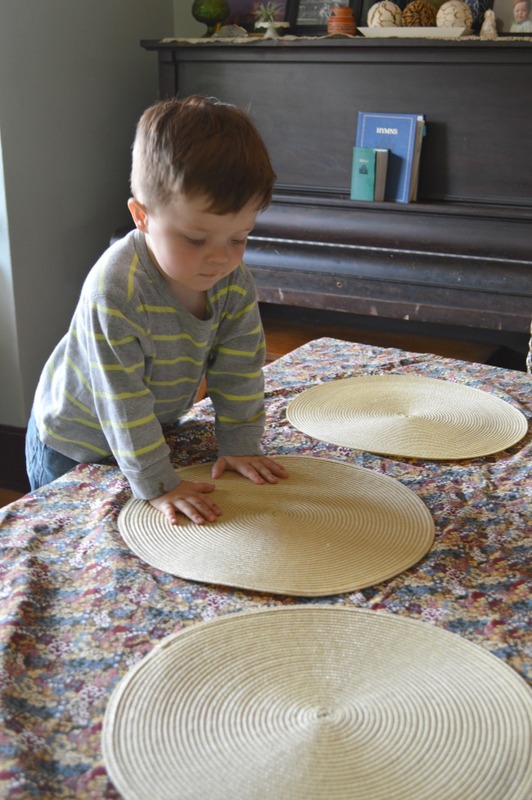 But, in realizing how much my boys love to use their hands, I have learned to start doing things with my own hands and learn as I go. And it has been so much fun! I just love doing projects with my boys that allow me to see the world through the tiny, eager, and creative hands. *Boys love to cuddle and spread love. Though my boys may be wild, they also have a very tender side to them. I can't tell you how many times one of my boys has come and sat right beside me, just so they could be near me. Or, how many times they have drawn a picture for me or brought me handfuls of dandelions in their precious grass stained hands. This happens on a daily basis and is simply heart melting. So, I make sure that I reciprocate and make a big deal over any sign of affection they show, because I never want them to stop! *Boys have the BEST imaginations! I absolutely LOVE everything that my boys do. But their incredible imaginations are probably one of the things I love most about raising boys! I can't tell you how many times Isaac has set up a fully functioning rainforest in our living room using just blue sheets and stuffed animals. Or the the countless instances I have caught Zachary running around the house in five different dress up items; pretending he was a scary monster, giant dog, or some other incredible thing. This happens on a daily basis with my boys and because of that, there is never, and I mean never, a dull moment in our house. Ha! See! 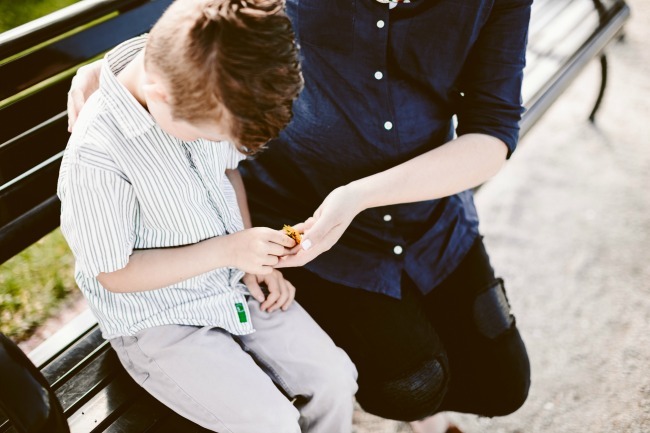 There are so many incredible things about raising boys; and I will forever be a 'Boy Mom' through and through. These little men mean the world to me and continuously bless my life in countless ways. I am definitely one lucky mum! I LOVE spring! It is such a beautiful season filled with blossoming flowers, sunshine, and endless colors. 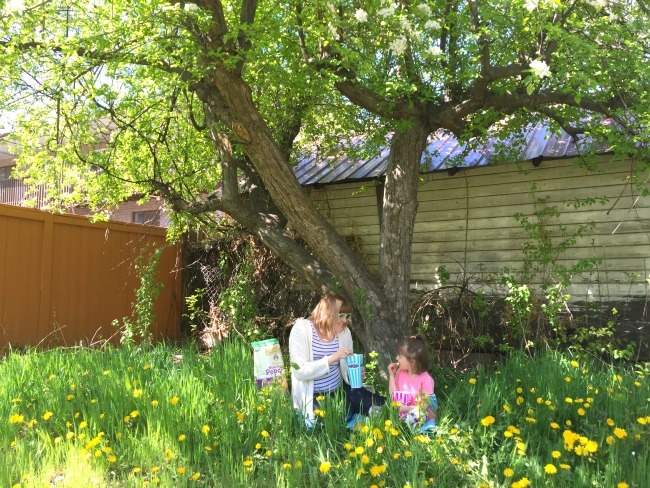 When it isn't raining or cold out (Utah weather is very sporadic in the spring), my kids always want to be outside in our backyard collecting dandelions, soaking up the warm weather, smelling the blossoms on our apple tree, collecting bugs, making mud pies and lounging in our hammock swing. 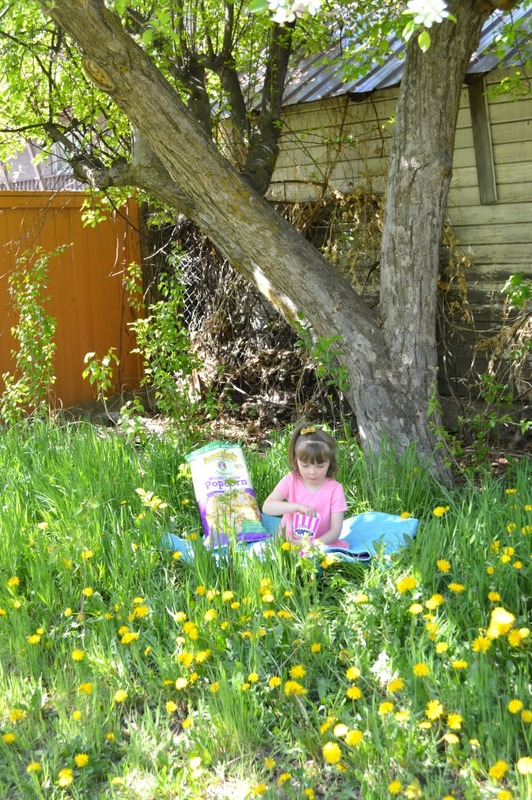 But, one of their favorite things to do is impromptu picnics. Sometimes, this consists of an actual picnic with sandwiches, juice boxes, carrot sticks, grapes, and cookies. 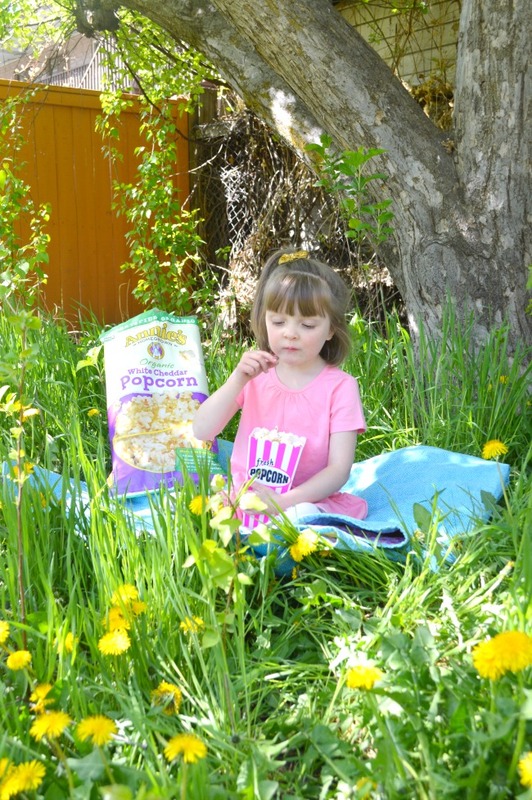 But, other times my kiddos just like to sit on a blanket they placed under one of the trees in our backyard and munch on popcorn. 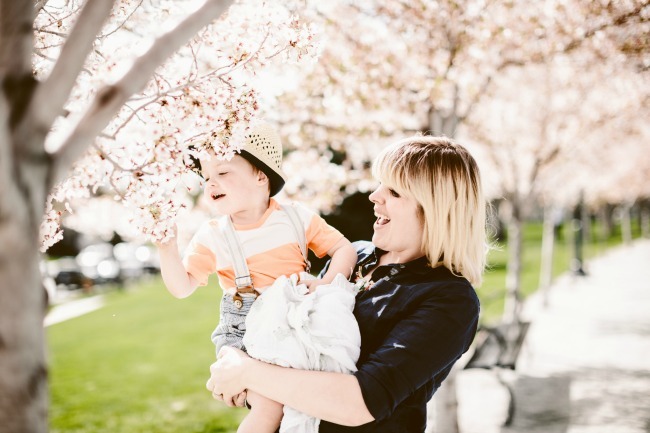 We started doing this back when it was just Isaac and me; and over the years, it has quickly become one of the ways my kiddos and I love enjoying springtime as a family. 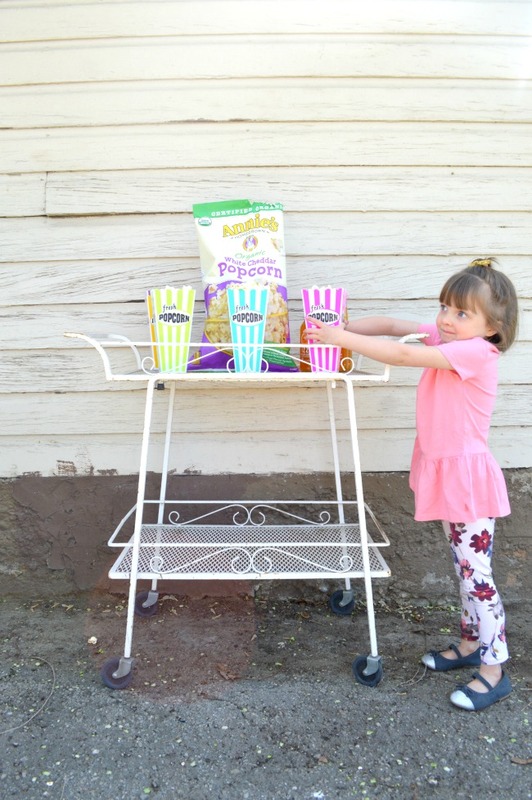 When it comes to our popcorn picnics, there are many times when I pop up a huge batch of popcorn in our air popper. 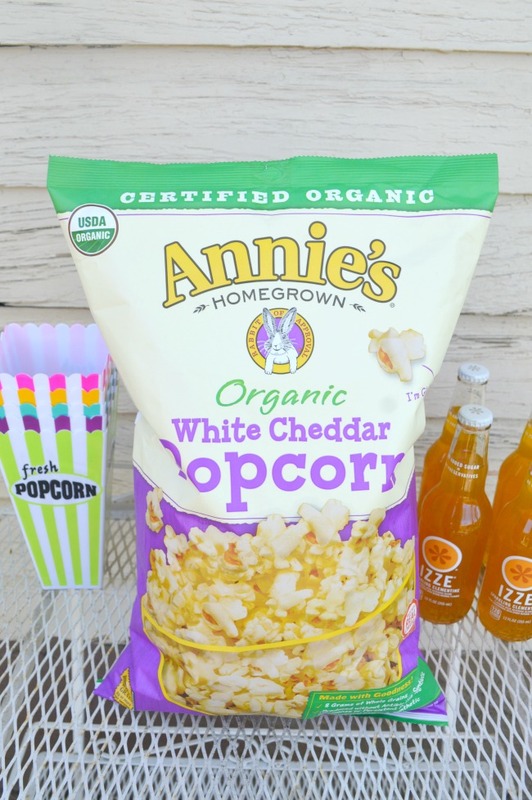 But other times, my kids love to use Annie's Organic White Cheddar Popcorn. 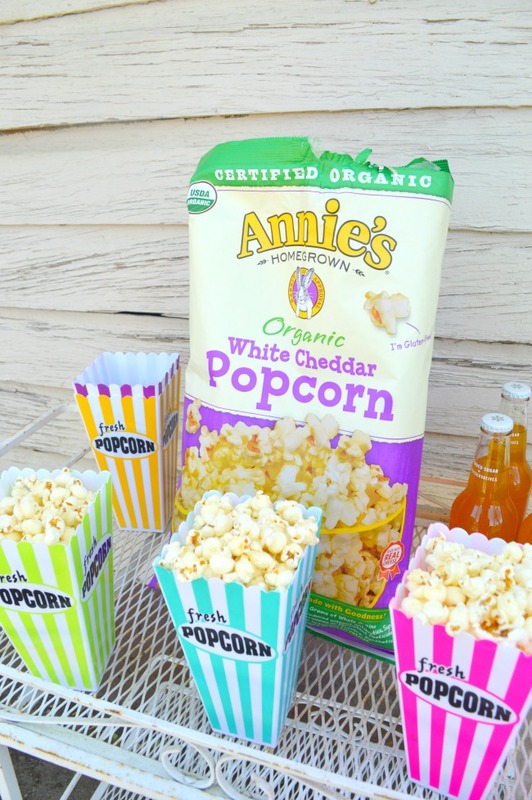 They love it for the yummy cheddar flavor and I love it for natural flavors and preservatives. Plus, I can buy this stuff in bulk at our local Sam's Club. Which helps me save a ton of money and time when it comes to purchasing this product. So it's a total win-win for every person in my family! 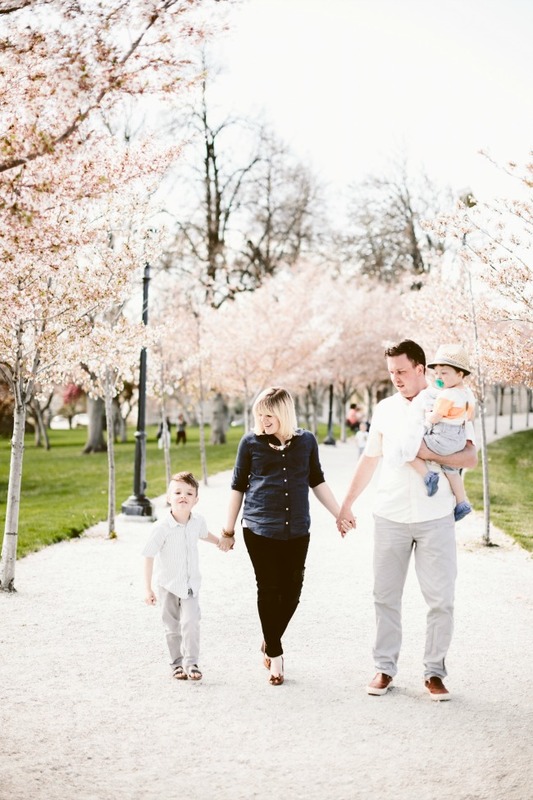 Whatever your family likes to do, enjoying springtime as a family can be simple, cost effective, and fun. 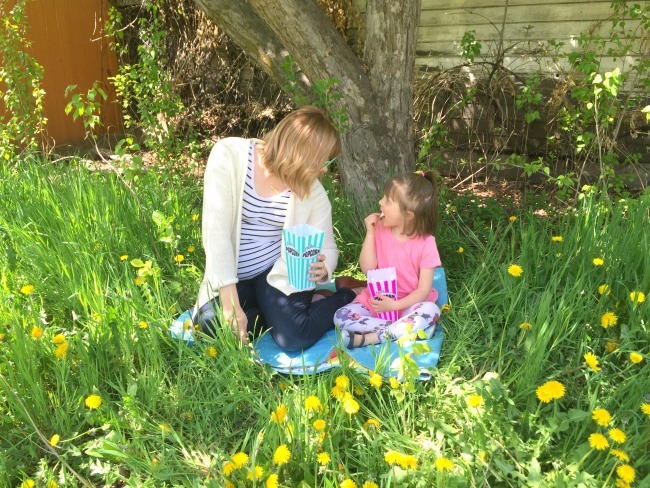 But if you're ever looking for something new to try during this time of year, I highly recommend enjoying springtime with a popcorn picnic. 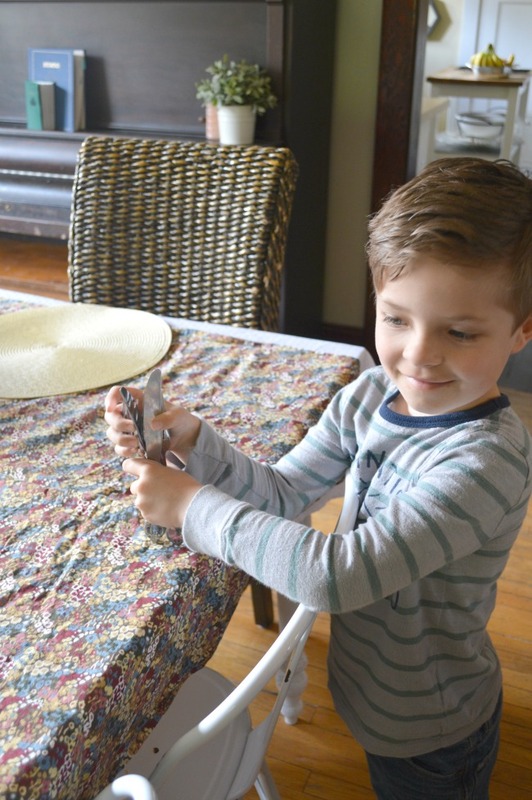 Especially because it's a low-stress activity for you to put together, but is full of high-impact fun and long lasting memories for your sweet little kiddos! * Visit a local duck pond. * Go for a drive and look at all the different trees and plants that have blossomed. * Make a fairy garden. * Read some books together outside. * Go for walk or bike ride through your neighborhood. 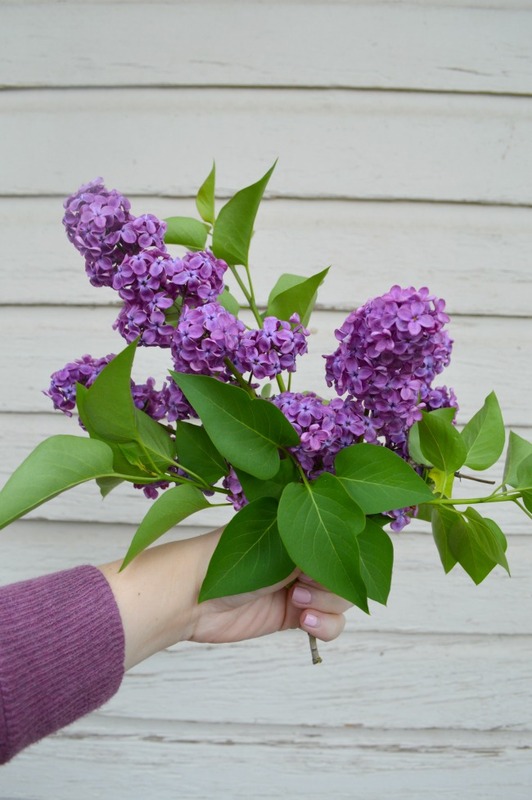 * Stop by a local greenhouse and select flowers to plant in your garden. * Do some cloud watching. * Help out some neighbors clear away any winter debris from their yards. * Check out a book about birds from your local library and then see if you can find them on your own. Hey-ooooo! First off, i'm sorry for the 2 week hiatus I have taken from vlogging and the week-long absence I have had here on the website. Thanks to the Influenza A virus, my entire family, including myself, has been completely bed-ridden at one point or the other. So all of my focus was spent on making sure we all got better as quickly as possible. And now that we are all on the mend, I can get back to doing two things that I love to do! With that being said, in two weeks, my extended family is hosting a baby shower for me and the little peanut in my belly. 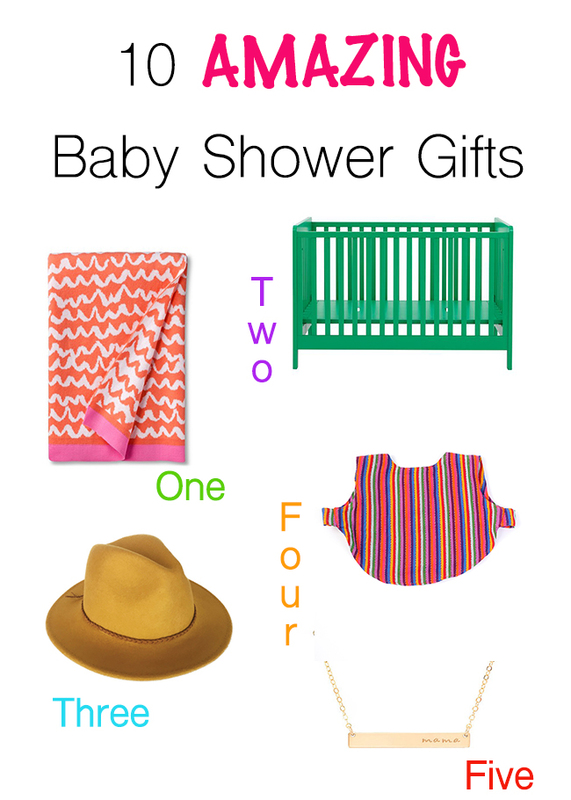 So I thought it would be fun to share 10 amazing baby shower gifts you could get for the baby showers that you will be attending this year. 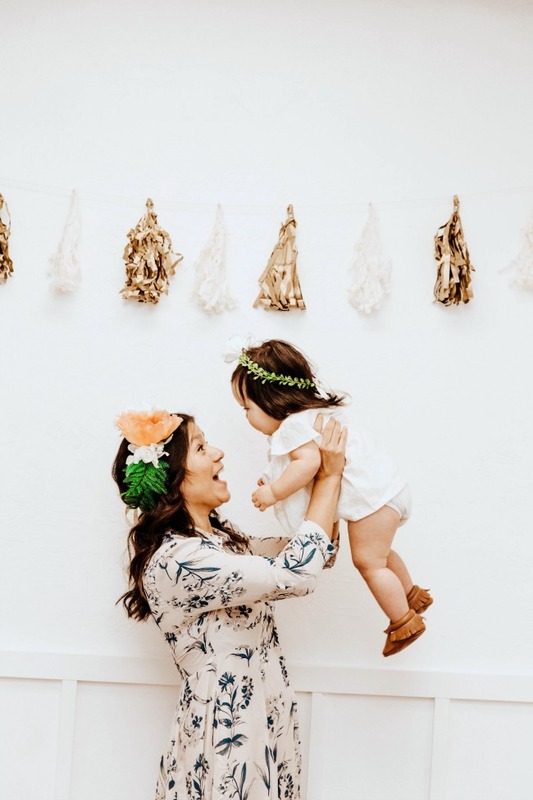 And you can rest assured knowing that they are legit items any newbie or well seasoned mum would love to have because the following recommended amazing baby shower gifts are all things I, or some of my pregnant mama friends, have either registered for or hinted toward loving to have! 1. Oh Joy Baby Blanket - The bright colors, fun patterns, and airy material make this a must have swaddle blanket for any mama and her baby. 2. Land of Nod Crib - This item is definitely on the pricier end. But if you pooled your money together with some of your friends, this would make the perfect gift for you expectant friend. 3. Gigi Pip Hat - Even though moms-to-be love getting gifts for their baby. It's also super fun when they open something that is just for them. 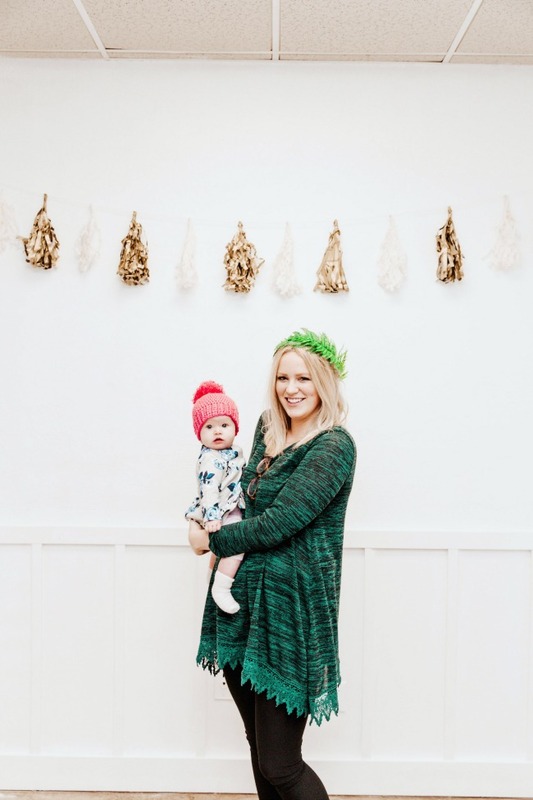 And since their body will be doing a lot of changing once their baby comes, a hat is the perfect gift to give because a mom can wear it no matter what her current clothing size may be. 4. Nena and Co. Baby Poncho - Kids are so messy! 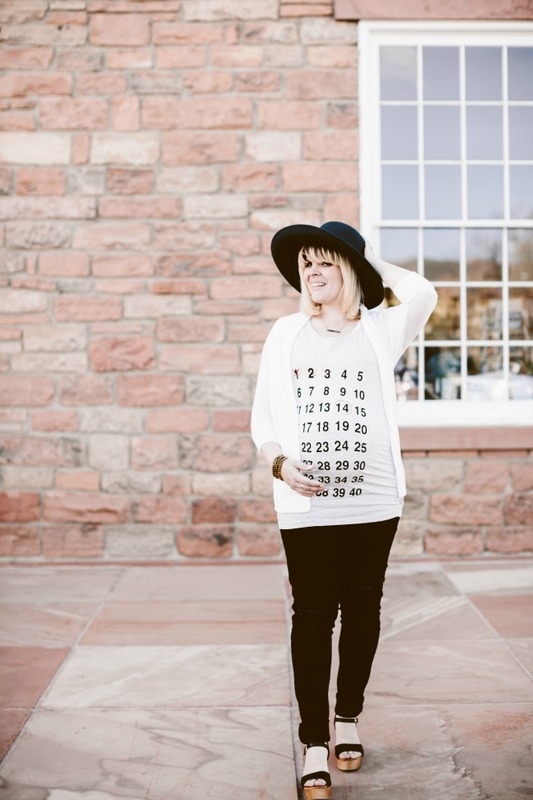 Which is why this mess free poncho makes an amazing baby shower gift! 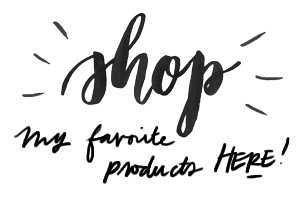 Plus, when you purchase a poncho from this company, a portion of your proceeds help moms in need. Which also make this gift one that keeps on giving! 5. 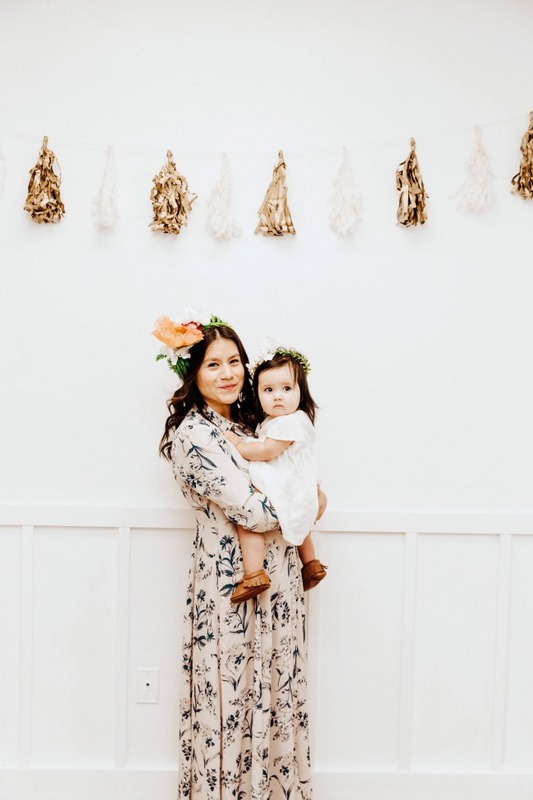 Made by Mary Necklace - Made from high quality and long lasting materials, this "Mama" will stand the test of time, go with any outfit, and be an accessory any mom would proudly wear. 6. 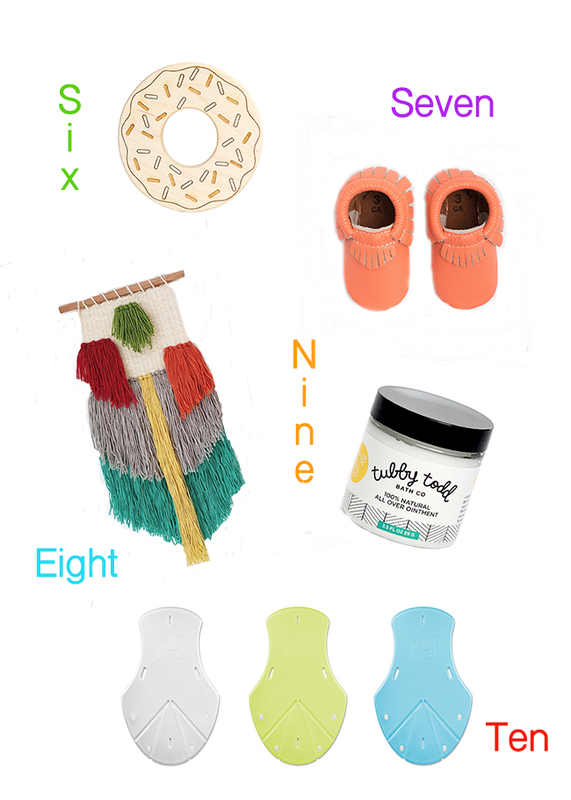 Little Sapling Toys Donut Teether - Enough said! 7. Freshly Picked Moccs - These darling shoes make such an amazing baby shower gift because they go with anything, are eye catching, and easily help the baby transition into walking. Your mama friend will definitely thank you for this gift! 8. 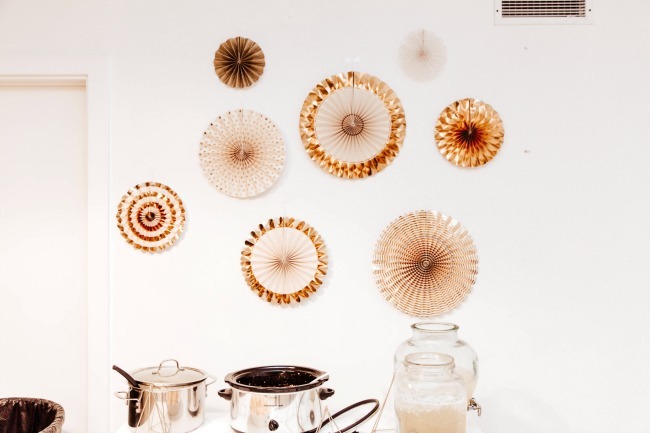 Sojourner Handmade Wall Hanging - Woven wall hangings have recently become the newest rage for nursery decor. 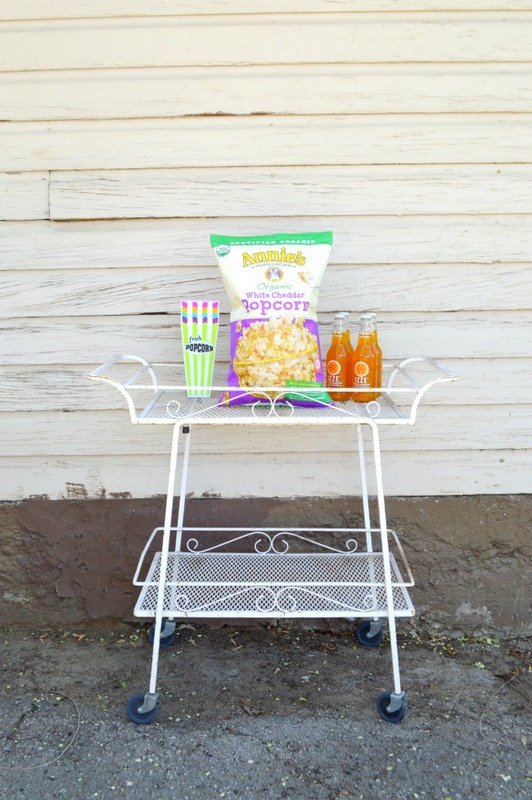 So you definitely can't go wrong with selecting this little beauty as your baby shower gift. 9. ANYTHING from Tubby Todd - Made from 100% natural ingredients, this is quite the amazing baby shower gift to give because it will give your mommy friend some piece of mind, and also leave her baby feeling completely at ease. 10. Puj Baby Tub - My brother and his wife actually just sent this to me in the mail and I can't wait to use it! Not only is it easy to store, but it allows parents to bathe their babies in almost any sink in the house. 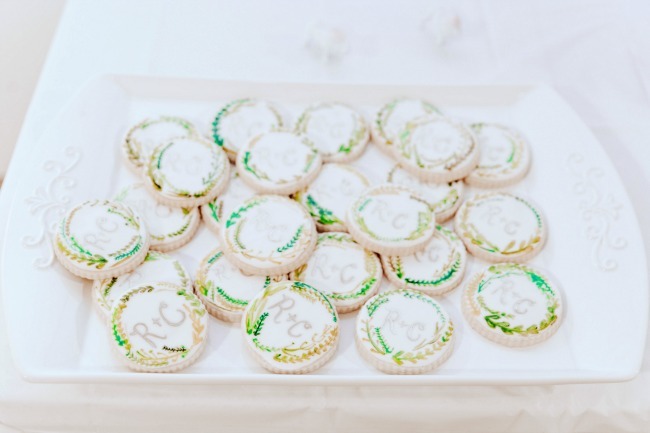 Which makes this amazing baby shower gift a definite must-have! 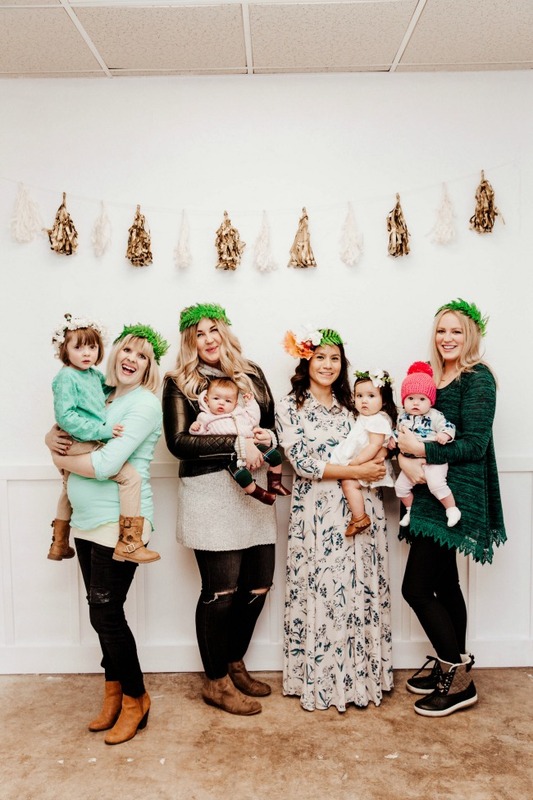 No matter what gift you give, if you keep the needs of the mom-to-be and her little bundle of joy in mind as you buy your gift, you can't go wrong with any of these 10 amazing baby shower gifts! 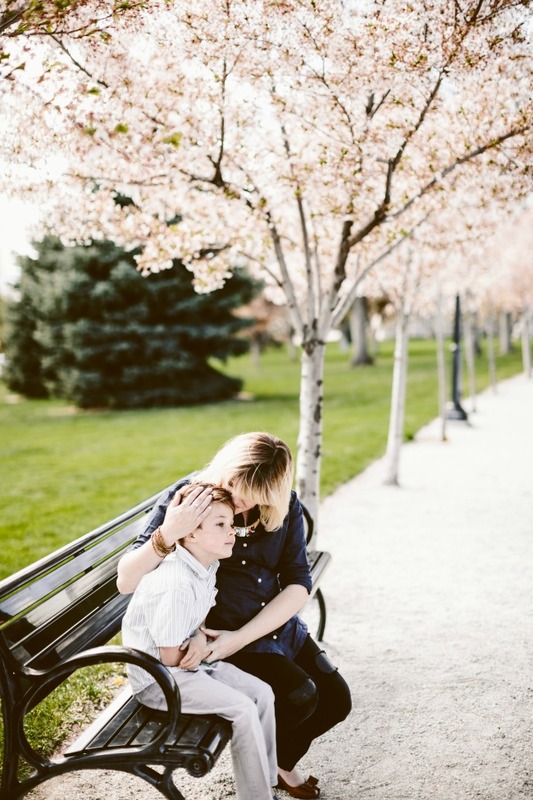 When it comes to being a mom, there are a lot of things that we share with our children. And sometimes that includes birthdays too! All of my littles have come about a week early. And with baby no. 4's due date being on May 14th, it wouldn't surprise me at all if his due date ended up being on my May 5th birthday. And as crazy as I think that would be, I also think it would be a ton of fun! 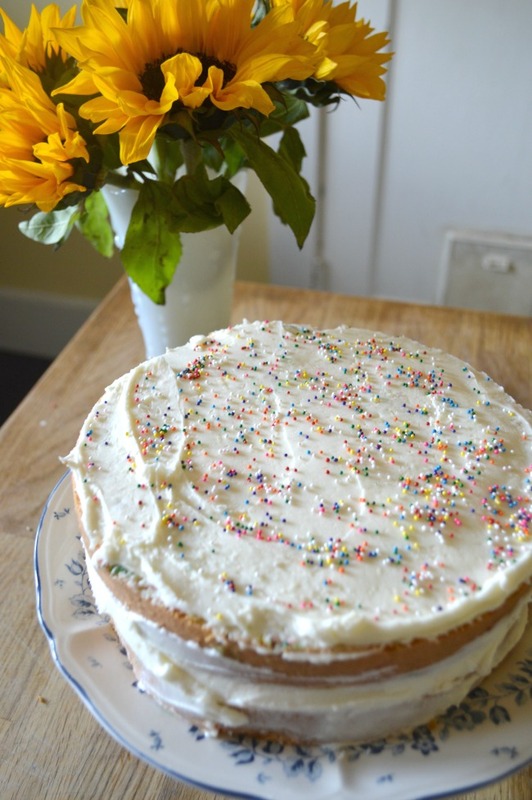 Especially since I just saw how it could be done when I was asked to host a combined mother and daughter birthday party for my dear friend Roxana Baker. 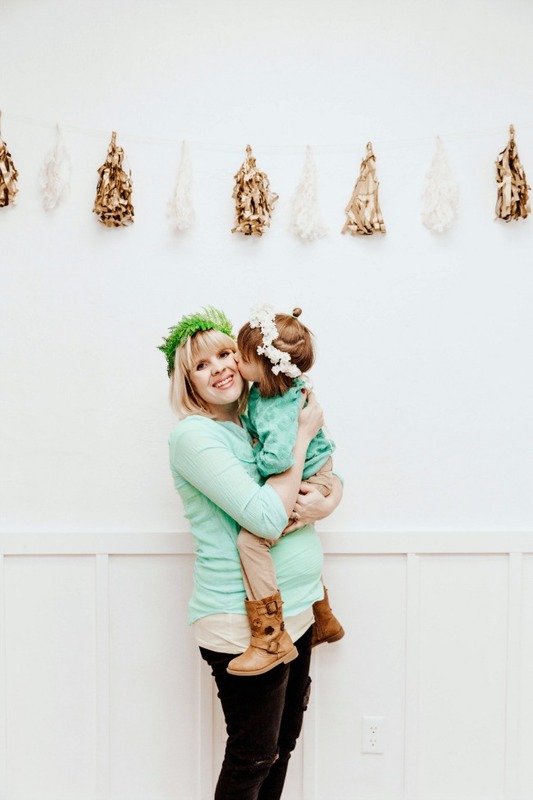 So, if you too share a birthday with your own little cutie or have a friend that does and you want to throw them a party, here's how I put together some beautiful combined mother and daughter birthday party ideas for my dear friend and her precious little girl. 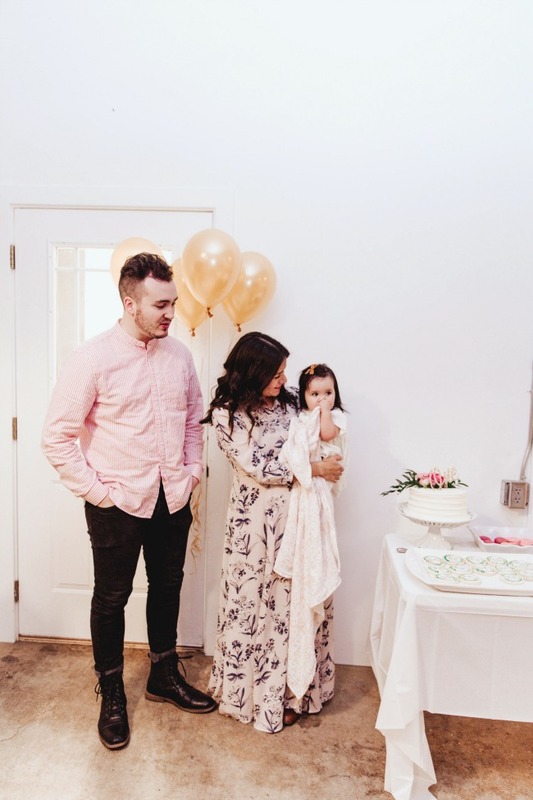 For our first combined mother and daughter birthday party idea, we kept things very feminine and went with modern shades of pink, gold, and cream for our color theme. When I hosted this party, it was still pretty cold. So we rented out a local studio space, Studio Wyld, to host our combined mother and daughter birthday party. The room was decorated with darling gold and cream fans, tassel banners, balloons, white spray painted animals with light pink party hats, and gold geometric shapes to give the party a modern and youthful feel. 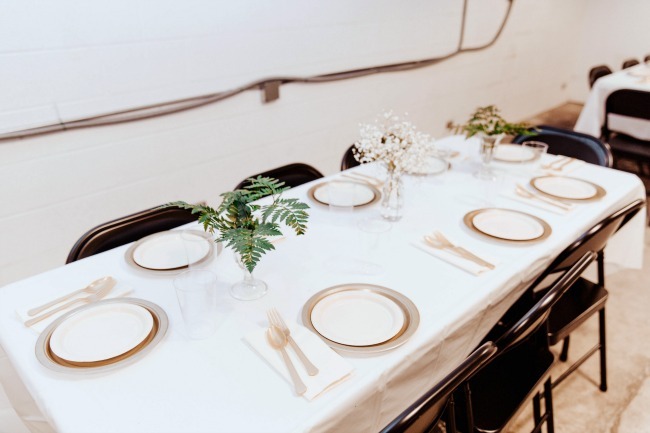 Party guests sat at tables that were decorated with gold and cream place settings from Zurchers and simple arrangements of fern leaves and baby's breath that we placed in vintage ice cream glasses. 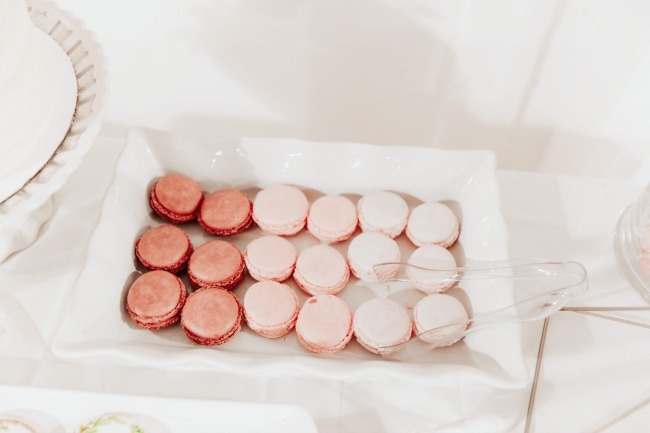 Along with the pasta and soup dinner bar, there was also a desert table filled with the most divine custom made pink ombre macaroons and hand painted sugar cookies from Plum Cakery along with the perfect buttercream cake with deep raspberry colored interior from Provo Bakery. A photo booth was also set up for anyone who wanted to take pictures. 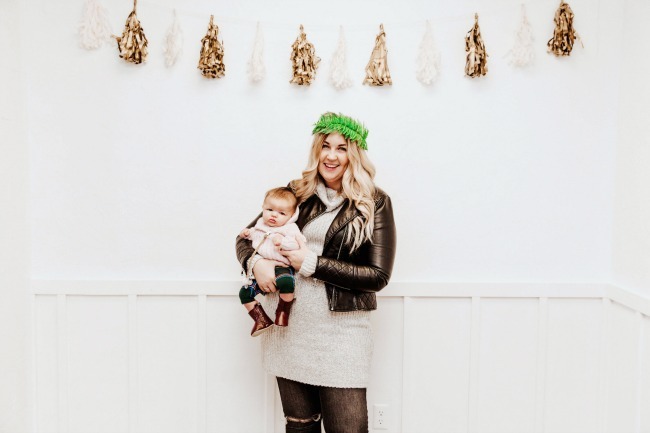 And any moms and daughters that used the photo booth were given floral or green leaf crowns from A Golden Garden to wear in their pictures and then have as a keepsake from the night's festivities. 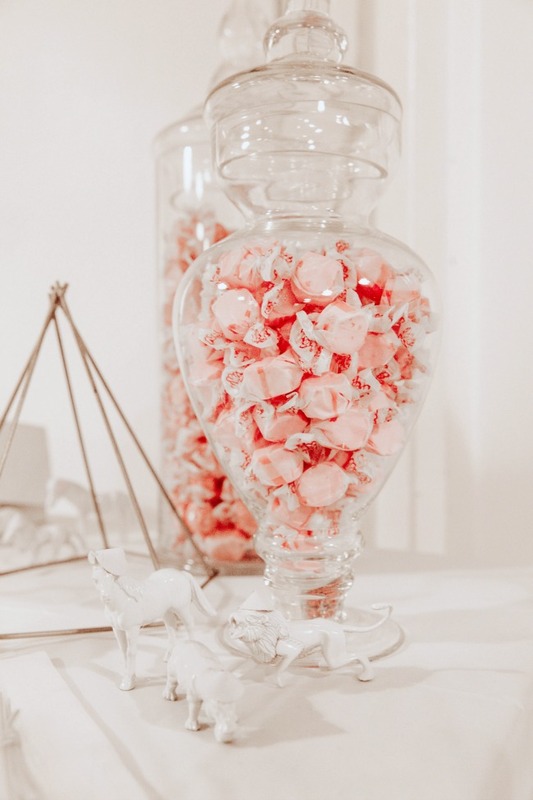 And, to send the guests off on a sweet note, each person was given a party favor bag that they could fill with salt water taffy and take home to enjoy later. Over the past couple of years, I have thrown quite a few parties (which you can see H E R E). 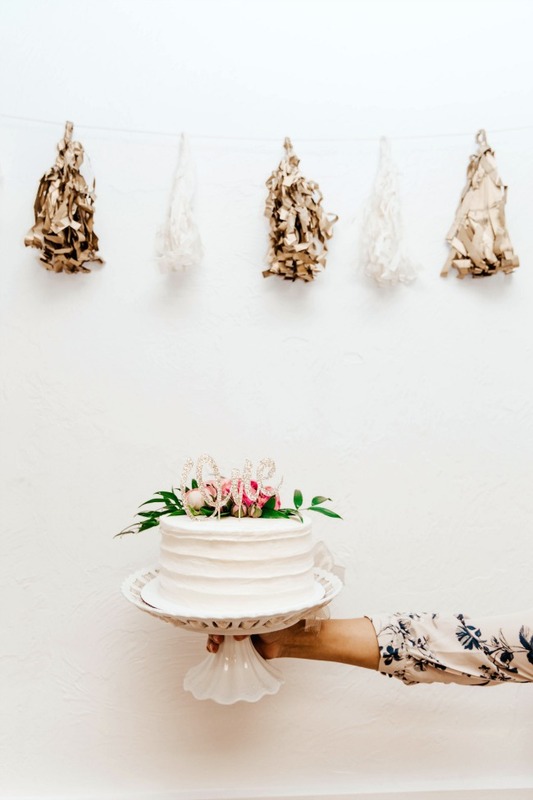 And though I have loved them all, this combined mother and daughter birthday party was one of my absolute favorites because of its sweetness and simplicity. 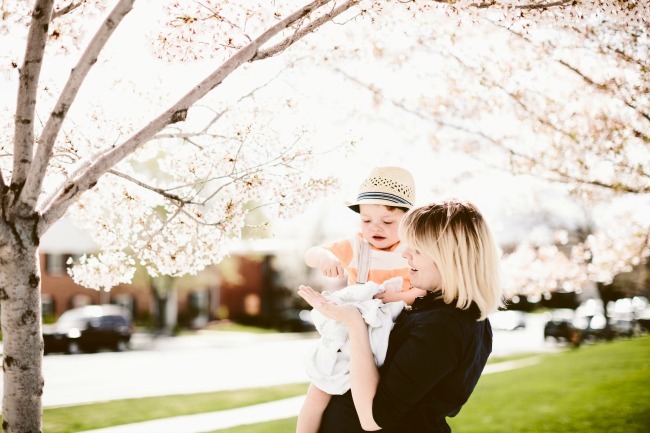 Two elements that I think being a mom is all about!